What does the home of the future look like to you? Perhaps the home of George and Jane Jetson comes to mind, where dinner and laundry are taken care of with the mere press of a button. Today, the average home may not quite be “Jetsons-esque,” but household appliances are becoming smarter and more energy efficient than ever before. A growing number of appliances now connect to the internet and offer new capabilities. In many cases, purchasing a new television, refrigerator or other large appliance will result in lower energy use, assuming you properly dispose of the old appliance. Many of these smart appliances offer features aimed at comfort, convenience and sometimes, energy savings. Manufacturers are adding communication modules inside many appliances, which often use Wi-Fi to communicate simple messages to a home’s wireless network. The messages vary from device to device, but typically include energy usage information, power control and thermostat settings. 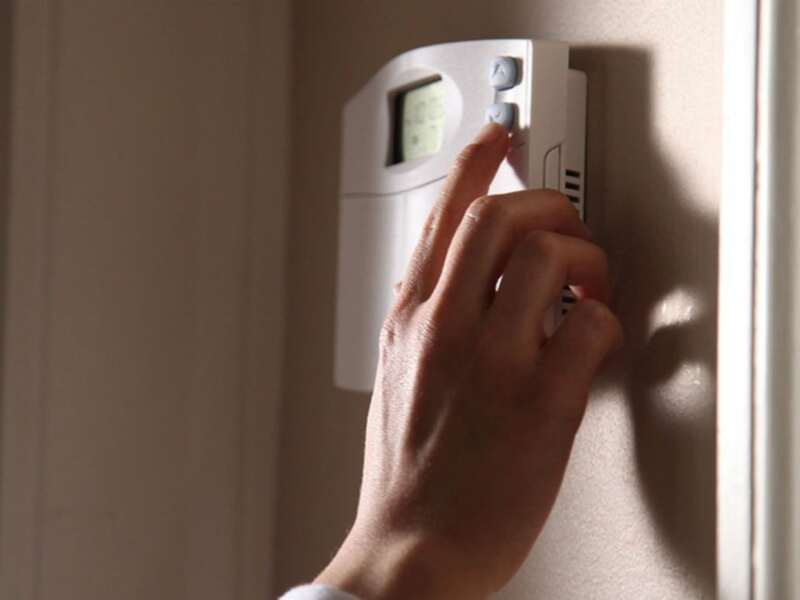 Efficiency-savvy consumers can potentially save energy and money using one of these systems. The bulk of the savings will come from the ability to remotely control your air conditioning system’s thermostat. Studies have shown that consumers generally do not program their programmable thermostat, but smart phone apps associated with internet-enabled thermostats are often easier to use. These thermostats can also learn your daily routine by sensing when you are away from home and adjusting your thermostat to save energy and money. There are many devices you can install in your home’s electric panel that can educate you on the energy consumption of various appliances. These in-home monitoring devices provide more information to consumers about their household energy costs and have been shown to help people reduce their energy consumption. One study of 36 energy feedback programs concluded that when presented with information on energy consumption, consumers reduce their home energy use by an average of 4 to 12 percent. Consumers should note that in-home monitoring devices should be installed by a licensed and qualified electrician. Technology by itself will not save a significant amount of energy, but other activities, such as weather sealing and turning off lights when not in use, will save significant amounts of energy and money. Technology has an important role to play, but the key will be finding the right mix of technologies that fit your lifestyle and budget. Brian Sloboda is a program manger specializing in energy efficiency for the Business Technology Strategies (BTS), a service of the Arlington, Va.-based National Rural Electric Cooperative Association.